You have slaved over your cover letter and poured blood, sweat and tears into your CV, but there’s one more hurdle before the finish line – building your journalism portfolio. Much like the age-old debate – should your CV be one page or two? – building your journalism portfolio is very subjective. But we’ve knocked our heads together and fought it out like real men – a cat fight in the car park – and agreed these are the best tips for how to put together a journalism portfolio. We’ll run through the basics real quick. Your portfolio should include: your CV, a short personal profile, samples of your work, contact details and links to connect with you on social media. Now, let’s take a closer look at what work you need to select and how to present it for a job interview. Employers will probably only spend a few minutes looking at your portfolio, especially during the interview, so select your best work. You need to detach yourself emotionally from your past work in order to select the most relevant clippings: ask yourself which ones your interviewer will be most interested in seeing. If you have an online portfolio, it must be easy to navigate. Potential employers should be able to read your best work within two clicks. They will be looking at a lot of portfolios so any more than this and they will get bored and might write you off – this also means you should have your best work at the top. Finally, make it clear where and when the article was published. If you have a hard-copy of your portfolio then a contents page will be very helpful, and again make sure it is easy and clear to flick through. Your ability to build a strong portfolio is a good reflection of you as a potential future employee in terms of organisation and presentation. Nobody wants a one-trick pony, so your journalism portfolio is the perfect platform to show you are comfortable covering a range of topics in an assortment of formats. However, you can tailor your portfolio to the publication you are applying for – for example, if you are applying for a job in travel or sport, ensure that a large part of your portfolio is focused on travel/sport and lead off these. Your portfolio is not the time for WordArt or Ryan Gosling memes. Make your portfolio appealing but choose a theme and stick to it. A well-presented and consistent portfolio will be remembered for the right reasons. If you are looking for inspiration, you can check out other people’s portfolios online by typing ‘journalism portfolio examples’ in your search engine. 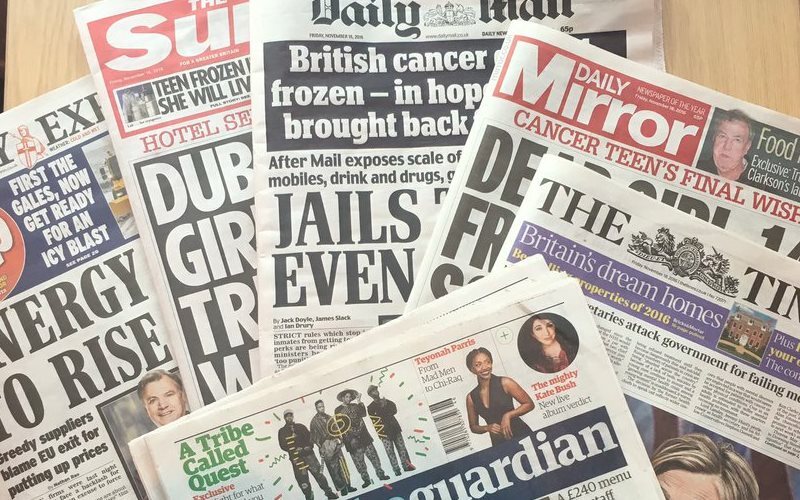 Have you got any other tips and advice on building your journalism portfolio? Share your thoughts and examples below.